Yes, I know what you’re thinking. Brexit and IVF?? If you are like me you are tired of hearing the daily updates on Brexit. Its everywhere we look, the internet, smart phone alerts, TV and radio. Can Brexit be meddling with IVF too? As a clinic CRGW have had to consider arrangements in the (relatively unlikely??) event that the UK leaves the EU without any deal in March 2019 as part of our business continuity arrangements. 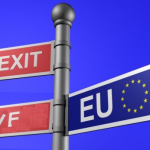 A no deal Brexit could impact the supply of medicines, medical devices, clinical consumables, media and other products of human origin includingreproductive cells like imported donor sperm. There could also be problems with the supply of non-clinical consumables, goods and services. There could be impact and delays at the UK border particularly at Dover and Folkstone; and the assumption is that there will be significantly reduced access there for up to six months. What have CRGW done to prepare? CRGW have prepared for a no-deal scenario as part of our Business Continuity Plan (BCP). We have adopted a ‘reasonable worst case’ mindset in updating this BCP by undertaking an assessment of the risks to the supply of all essential supplies: medicines, media, gases, consumables, and equipment parts in relation to the safety of patients, gametes, embryos, and staff. We have contacted all suppliers to CRGW from around Europe and further afield and have received reassuring responses from all parties that our suppliers are preparing also by carrying several months worth more of stock or moving supplies to a UK base in the short term if they are currently based outside the UK. In summary then, we don’t at this point see any effect of Brexit on our services and our assessment has reassured us that treatments will continue without effect either. We will update you if necessary as things become clearer when we all finally find out how Brexit will pan out. Half price IVF. CRGW making more families.